Father Jeff, our Parish Priest, arrived in the parish on 24 August 2015. 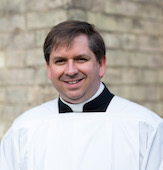 Before arriving in St John's Wood, Father Jeff was Assistant Priest at Holy Ghost and Saint Stephen's Shepherd's Bush and Catholic Chaplain at Chelsea and Westminster Hospital. Father Jeff is originally from the USA and has lived in the UK since 2004. He came to the UK to pursue academic studies and received a PhD from the University of Saint Andrews in 2012. Margaret Wickware, our Catechetical Coordinator has a Masters in Religious Education and Catechesis, completed certificates in RCIA and Ministry and Evangelisation for the family through the Maryvale Institute. (Masters thesis was on the sacrament of baptism as an opportunity to evangelise new parents.) In addition to contributing to twenty booklets of meditation for small faith-sharing communities in the Diocese of Westminster and beyond, she has offered baptismal preparation and assisted with RCIA at her previous parish in Wimbledon. Most recently, she organised adult faith formation at St. Thomas More, Swiss Cottage (using the Ascension Press programme -Come Follow Me, Encounter Christ in the Gospel of St. John) and the Discovering Christ programme at St. Luke’s, Pinner. Besides her work as a study tutor at Allen Hall (now in her fourth year), she is President of the Guild of Our Lady & St. Joseph with responsibility for organising its programmes and publications for almost four years. She works closely with Fr Jeff in catechetical formation of both adults and children and hopes to explore further opportunities with Fr Jeff for adult formation. Sister Brigid Collins, our Parish Sister, has been associated with the parish for a good number of years now, in fact since she was 16 when she entered the convent of the Sisters of Mercy in Harewood Avenue. Sister Brigid looks after a great range of activities including the Union of Catholic Mothers, Parents and Toddlers' groups, the Youth Mercy Associates (our youth groups)..... the list could go on! 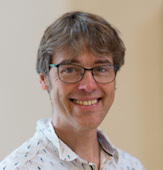 Martin Toyer was appointed Director of Music at the Church of Our Lady in Advent 2014, however, he has been singing and playing at our church since Christmas 1996. 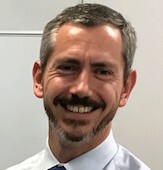 As a child, Martin was a chorister in Luton; his first appointment as Director of Music was when he was sixteen years old and he has been directing choirs ever since. Whilst studying at Oxford University, Martin was Organ Scholar and director of the chapel choir at Brasenose College. During his time at university, he performed as soloist, director and ensemble member for many groups around the city. Whilst the liturgy of Our Lady gives Martin plenty of opportunities to indulge in his passions for Bach's organ music, plainchant, and Renaissance polyphony, he also directs Ensemble 42, a small group of musicians who perform solo and ensemble works, exploring all genres of music from plainchant to lieder, from Baroque to modern opera. Martin is also busy as a singer, conductor, and accompanist in London. 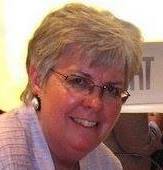 Louise Allain has recently joined as our parish office manager. She is a Mother of two teenagers, living in the heart of Westminster. Previously she worked for two years as Office Admin for Fr Alan Robinson at Corpus Christi Church, Covent Garden. Louise is the first point of contact when you ring the parish office. Her hours are from 9:30am-1:30 pm Monday, Tuesday, Thursday, and Friday. If you have any questions about the parish or are interested in hiring the church hall for events, please do get into contact with Louise. Roger Rutuerma is one of our most important team members as he keeps the parish hall, offices and presbytery tidy for visitors and the staff. He has been with the parish for over twenty years now and knows the grounds and facilities very well. He is around the parish on Mondays, Wednesdays and Fridays and we are all very blessed to have Roger amongst us. Roger is also very good company for Woolsey, the resident Jack Russel of the parish, who always looks forward to a morning visit from Roger. Csaba Tarnai helps maintain the Parish website. He holds an M.Sc. in computer science and is a certified photographer. He has been with our parish since 2015 when he and his family of five (Chiara, Claudia, Carlo, Caterina) transferred from Pisa to London. In his spare time he enjoys running, swimming, cycling and fitness.